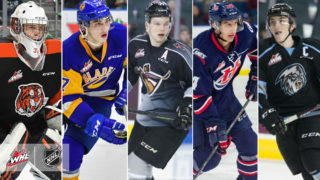 More than 70 current and former WHL players made their way West this past week as NHL Atlantic Division teams held their annual development camps. 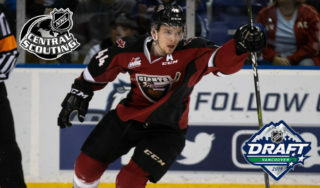 Led by 2018 MasterCard Memorial Cup Most Valuable Player Sam Steel and 2018 WHL and CHL scoring leader Jayden Halbgewachs, a total of 74 WHL players and alumni from 21 different WHL clubs attended development camps with the Anaheim Ducks, Arizona Coyotes, Calgary Flames, Edmonton Oilers, Las Vegas Golden Knights, Los Angeles Kings, San Jose Sharks, and Vancouver Canucks. The Anaheim Ducks have been selecting talent from the WHL for a while, dating back to selecting Ryan Getzlaf of the Calgary Flames in 2003. Their most recent crop of WHL talent is headed by Sam Steel, who was awarded 2018 MasterCard Memorial Cup MVP honours after scoring 13 points (2G-11A) in five games. This added to his 83 points (33G-50A) in 54 games during the regular season. Over the course of his WHL career, steel scored at a rate of 1.31 points per game, totaling 338 points (123G-215A) in 258 games. Attending the camp with him is teammate Josh Mahura. Mahura finished this season with 69 points (22G-47A) in 60 games. He added seven points in five games at the Memorial Cup and was named to the MasterCard Memorial Cup All-Star Team. Sideroff, a former Kemloops Blazer, is also attending. During his time in the WHL he accumulated 178 points (75G-112A) in 208 games. He was drafted by the Ducks in the third-round in 2015 and signed a contract with them shortly after. "You see what they want, how they play. You come to camp comfortable and knowing what they want." The Coyotes had a strong push in the second half of the season, and they look to keep rolling into the new season with some new faces. 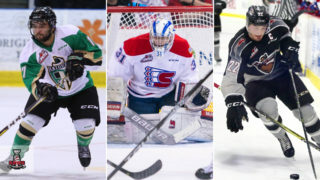 They started by signing former Spokane Chief Michael Grabner in the Free Agency, and are taking a look at some current WHL players. Brayden Burke put up 113 points (31G-82A) in 61 games this season, adding to his career totals of 338 points (85G-253A) in 228 games for a scoring rate of 1.42 points per game. Combine that with the productive season Tyler Steenbergen had, scoring 47 goals and recording 102 points in 54 games, giving him 98 goals over the past two seasons. He also scores in clutch times, notching the game winner for team Canada at the IIHF World Junior Championship in the Gold Medal game with under two minutes left. Steenbergen and Gennaro were both a part of the Swift Current Broncos who won the Ed Chynoweth Cup this past season. Gerlach was invited to the camp and also displays a goal-scorers touch, having never scored below 30 goals in a season in his WHL career. Gerlach, also known as the “Texan Sniper”, scored 70 points (35G-35A) in 65 games last season, split between the Medicine Hat Tigers and Saskatoon Blades. Goaltender David Tendeck was the Coyotes sixth-round pick this year after recording a 3.02 GAA and a .912 SVS%. "My main thing is to get stronger and to work on the little areas in my game that need improvement." Without a draft pick in the first three rounds at the 2018 NHL Entry Draft, the Flames are looking to their current prospects, and inviting several more to replenish to system. The Flames have drafted, signed, or invited 14 WHL players and alumni to their development camp. Their forward prospects include the likes of Dillon Dube, who recently was captain of Team Canada, who won gold at the IIHF World Junior Championships. In 53 games this season, Dube put up 84 points (38G-46A). Alongside Dube is Swift Current Broncos captain Glenn Gawdin, who racked up 125 points (56G-69A) in 67 games. He added 32 points (14G-18A) in 24 playoff games, helping his team win the Ed Chynoweth Cup and claim the 2018 Rogers Playoffs MVP for himself. Matthew Phillips is another player who had an impressive year, posting 112 points (48G-64A) in 71 games. Of the defencemen attending the Flames camp, only one was drafted by them. Juuso Valimaki was the first round selection of the flames in the 2017 NHL Entry Draft. The 6-foot-2, 205-pound left shot defenceman recorded 45 points (14G-31A) in 43 games last season, adding 17 points (4G-13A) in 12 playoff appearances. In addition to Valimaki, the Flames have invited six WHL defencemen. The lone WHL goaltender attending the Flames development camp is Nick Schneider. Schneider played 61 games for the Hitmen last season, recording a 3.70 GAA and a .885 SVS%. He signed with the Flames back in 2015 as a free agent. The Edmonton Oilers will be looking to advance to the playoffs next year after missing out this past season. 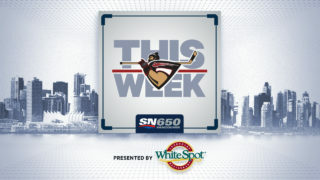 They have been looking for players to compliment a core that includes WHL Alumni Leon Draisaitl and Ryan Nugent-Hopkins. One player they signed as a free agent is Cameron Hebig. Hebig looked primed to be drafted before suffering an injury that cost him an entire season. That didn’t set him back as he returned the following season to score 90 points (41G-49A) in 66 games, a feat impressive enough to earn him a contract with the Oilers. In addition to Hebig, Kailer Yamamoto will also be attending. Yamamoto played nine games with the Oilers last season, recording three assists. In 40 games with Spokane, he recorded 64 points (21G-43A). The Oilers also have top-end talent in net after drafting Stuart Skinner in the third-round of the 2017 NHL Entry Draft. Skinner backstopped the Swift Current Broncos to a Ed Chynoweth Cup this past season, recording a 2.20 GAA and .932 SVS% in 26 playoff games. The Vegas Golden Knights surprised many in their inaugural season, making it to the Stanley Cup Final. 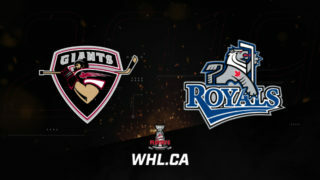 They will look to reproduce that outcome this season, looking to win an additional three games in the playoffs. To do this they have stockpiled talent from the WHL, including their first ever player, Ried Duke. Duke was the Golden Knights first player when they signed him to an NHL contract prior to the Expansion Draft. Duke played for the Brandon Wheat Kings where he posted 71 points (37G-34A) in 59 games during the 2016-17 season. Joining Duke is the first ever Golden Knights draft pick, Cody Glass. Glass was selected sixth overall in the 2017 NHL Entry Draft and scored 37 goals, adding 65 assists for 102 points in 64 games. While most players at development camps haven’t quite reached the NHL stage, one player that did get some play time with the Knights is Dylan Ferguson. Ferguson was called upon when the Golden Knights lost their first, second, third, and fourth goalie to injury. While he only played nine minutes, he got to experience the NHL in its most hectic. While it is unlikely to happen again, Ferguson will be ready if it does. The Kings are hoping for a return to the playoffs in consecutive years since their Stanley Cup winning season in 2013-14. 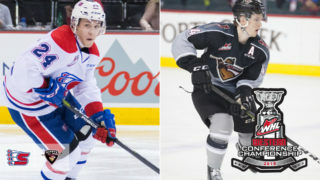 They have stocked up on WHL talent, drafting, signing, or inviting nine WHL players and Alumni to their development camp, led by a pair of Spokane Chiefs teammates Jaret Anderson-Dolan and Hudson Elynuik, who each scored over 85 points this season. The Kings drafted defenceman Kale Clague in the second-round of the 2016 NHL Entry Draft. Clague played for the Brandon Wheat Kings and Moose Jaw Warriors last season posting 71 points (11G-60A) in 54 games with a plus +/- 42. Additionally, the Kings signed Cole Kehler, the goaltender of the Portland Winterhawks who, over the past two seasons, has played 109 games and posted a 2.77 GAA and .909 SVS% last season. Among the invites is Mark Rassell, the former captain of the Medicine Hat Tigers. Rassell scored 50 goals last season in 70 games, adding 30 assists for 80 points. He added eight goals in six playoff appearances to add to his goal total. The San Jose Sharks have been loading up of forwards from the WHL, having 12 WHL forwards attending their camp this year. The Sharks are very active in signing players that went undrafted but have excellent play. A good example of that is Jayden Halbgewachs. Halbgewachs was never drafted at the NHL Entry Draft, but followed a different path to the NHL. After posting 41 points in 69 games in 2015-16, Halbgewachs more than doubled his points, scoring 50 goals and adding 51 assists for 101 points in 71 games. A 50 goal season wasn’t enough for Halbgewachs who hit the twine 70 times last season, making him the first 70 goal scorer in a single season in the WHL since Pavel Brendl in the 1998-99 season. In addition to stocking up on offence, the Sharks have also invited Regina Pats goaltender Max Paddock. Paddock became the Pats starter after some mid season trades saw their 20-year-old goaltender leave the team. He finished the season with a 2.90 GAA and a .904 SVS% as an 18 year old. He helped Regina reach the second-round of the 2018 WHL Playoffs and performed well in a third place finish in the 2018 MasterCard Memorial Cup. The Vancouver Canucks were in search of a right shot defenceman at this years NHL Entry Draft and they got one in Jett Woo. In addition to having arguably one of the best names in hockey, Woo put up 25 points (9G-16A) in an injury shortened 44 game season. In those 44 games he also recorded a plus +/- 29. They invited another right shot defenceman in Sahvan Khaira. Khaira was part of the Swift Current Broncos team that won the Ed Chynoweth Cup this past season. He is also the younger brother of Edmonton Oilers forward Jujhar Khaira. Sahvan had 26 points (6G-20A) in 65 games. Tyler Soy of the Victoria Royals was also invited. Soy is the all-time leader in points for the Royals, finishing his entire WHL career with them posting 327 points (the previous record was 265 points). Soy is an offensive catalyst who recently also attended the Florida Panthers Development Camp.